We have a proud tradition of providing meaningful employment and training opportunities for people with a disability. Brunswick Industries provides higher than average wages and hours worked in the supported sector. But most importantly, we provide a secure, safe and supportive environment for our workers and encourage them to reach their potential. Brunswick Industries is now inviting applications from supported workers who are interested in working in a variety of positions including automated and manual liquid fill operations, labelling, packing, assembly, labour hire, forklift and warehouse operations. We are an employer of choice for people with a disability and provide higher than average wages and hours worked in the supported sector. We also provide a safe, secure and supportive environment for our workers and encourage them to reach their potential. 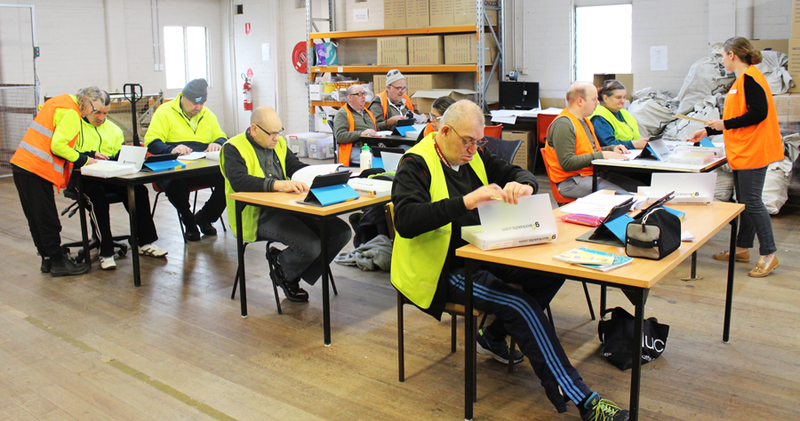 Any new job seekers who meet the residence and age requirements under the NDIS will need to register with NDIS prior to applying to work at Brunswick Industries. To check if you are eligible for NDIS funding, see this website checklist. For further information regarding the NDIS please visit the NDIS website. If you meet the criteria above and would like to work at Brunswick Industries, contact the Workplace Support Officer Jasmine Billingsley on (03) 9380 7444. Workers are trained to operate automated and semi-automated liquid filling machines in addition to decanting, sealing, capping, labelling and packing goods. Our small assembly workers construct a variety of goods from supplied components including, but not limited to, brooms, mops, rakes, plumbing parts, medical kits and cafe equipment. Opportunities also exist in our warehousing division where workers are trained to operate a forklift and assist in general warehousing and stock report duties. Our workers also compile mail outs for a range of businesses. They pack and seal mail ranging from a single document to compiling multi-insert packages. Our packing division delivers a variety of high standard services. We currently pack anything from bottles, coffee cups, sweets, starter packs and kits, showbags, plumbing equipment, door components and hardware supplies. 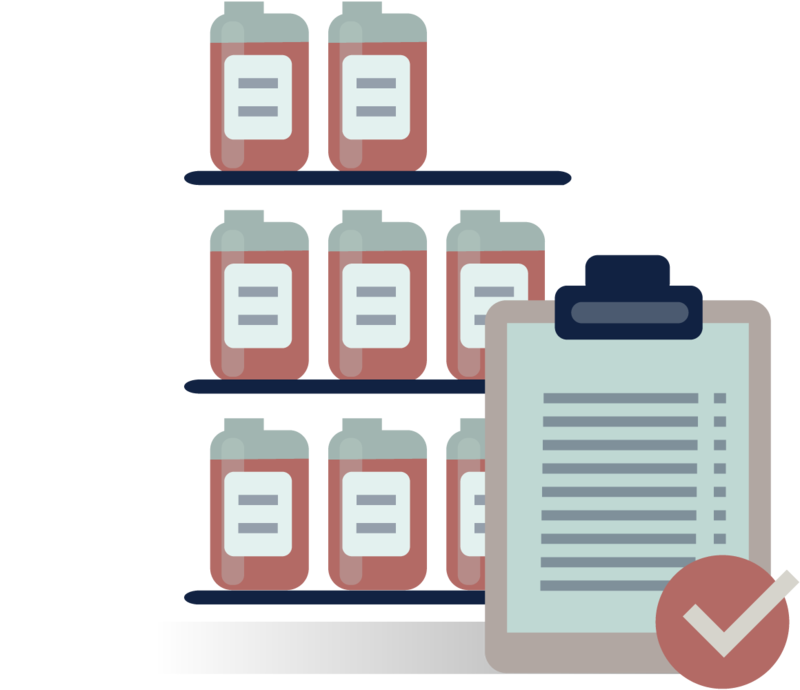 We deliver a range of labelling services from manual labelling to several of our automated labelling machines. Brunswick Industries offers on-the-job training and support for all of our supported workers who receive a disability support pension. No previous experience in the manufacturing sector is required and classes are held once a week onsite at Brunswick Industries. We also provide support to access health services, community groups, social activities and education. Ideal for young adults moving out of school and into the workforce. This is a great base to launch a career in paid work. This training is designed for workers hoping to re-enter the workforce or move employment to a thriving business model. We operate Monday to Thursday from 8:30am to 3:30pm and on Fridays from 8:30am to 12:30pm. You can elect to work part time or full time, with a minimum requirement of 8 hours per week. Once employment begins, workers will receive a base pay rate per hour. You will be trained by a supervisor on a variety of different jobs. During the first three months of your employment, your supervisor will assess your progress and competency. Every individual will be assessed using the same tools and wage rates are calculated according to their performance and capabilities.